Early 2018 Daniel’s long battle with injury came to the point where he was forced to take a step back from Flag. The Club look forward to seeing him return when he is back to full fitness. 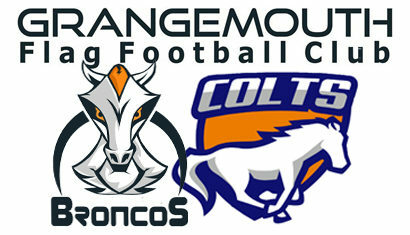 Daniel joined the Broncos in the first week of January 2012 after he “googled” for somewhere to try American Football. While Daniel feels he may have struggled in his first few weeks, the coaches saw the potential when as a rookie he rarely missed a catch. Around mid-season, the coaches introduce Daniel as a blitzer. In what remained of the season he collected 9 sacks including 4 in one game against the Wolverines. Daniel has been at all of the games since, even when injured. Off the field, Daniel was invited to join the Broncos committee and has become indispensable as Club Secretary, a job where people don’t appreciate how much work is involved. In addition, Daniel is a reporter for Pulling the Flag. That job seems to take him all over the country covering game days. 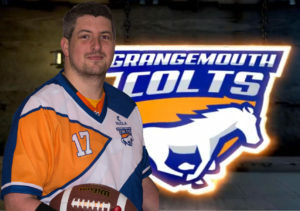 Daniel has also managed to play with a number of teams other than the Broncos. He has played with The HNC Barbarians and in 2015 was in Ireland for the tournament where the Barbarians were runners up to the HNC Chieftains. In tournaments it can be hard work keeping up with which team he is currently playing with!